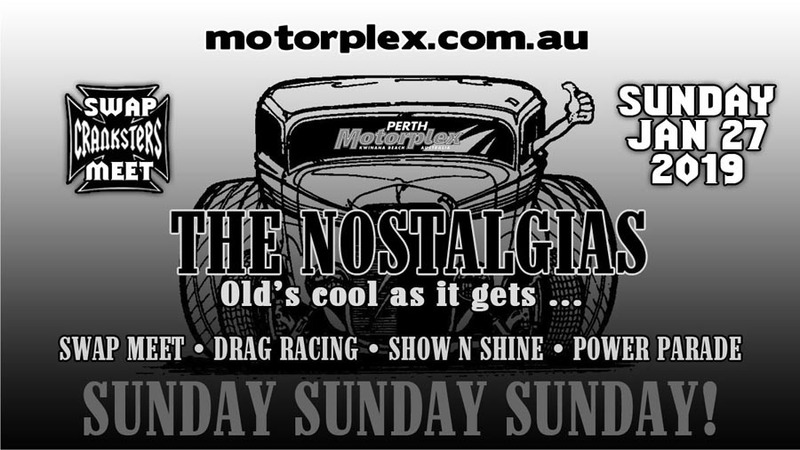 Rhys Naylor will be joining in the fun at this Sunday’s Nostalgias at Perth Motorplex in a deceptively modern car. Naylor will be driving the family’s Altered, a short chassis race car that uses a retro ‘T-bucket’ body based on the Ford Model T. But while the look is a classic, the materials and technology are state of the art. “This car actually has a lot more to it than meets the eye,” Naylor said. Driving the car to the finish line is a 750 horsepower Ford Performance V8 and a two speed ATI Powerglide transmission. Naylor’s family have been long time participants in drag racing. His father Mike has competed in a variety of categories, while his siblings Alicia, Brittany, Brayden and Michael have all come through the Junior Dragster division. “After we finished Junior Dragster racing, Dad and I sat down and found an engine and I was offered the drive with the new combo,” Rhys said. “I jumped at it without hesitation. I’ve been eager to get into the altered since Dad first got it in 2009, so it’s a great feeling to finally be the driver of such an awesome car. Naylor will be using the Nostalgias on Sunday, January 27 as a good opportunity to test the potential of his car. “We actually hurt the engine at the last event, so at the Nostalgias we are planning to have the car at 100% and get some nice fast passes in,” he said. The Nostalgias will see gates open from 7am. The Cranksters Swap Meet begins from 7.30am, with the show and shine from 9am before drag racing starts at 10am. The Power Parade will allows cars in the show and shine to cruise the drag strip at 1.30pm.